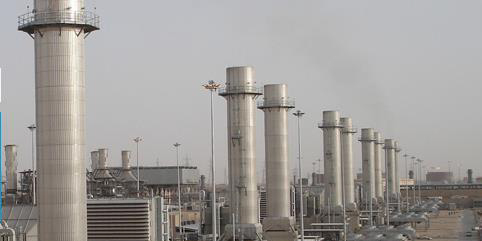 At a U.S. Power Plant, a customer was experiencing frequent bearing deterioration in their non-Bachmann louver dampers. The bearings required replacement twice in only a few years. The frustrated customer invited Bachmann to investigate and recommend a long term solution. 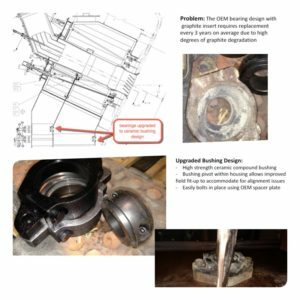 Taking the customer’s unique application into consideration, it was determined the original OEM design was not especially suited for the intended usage causing the need for frequent repair and replacement of the supplied bearings. While heat was one of the suspected causes of premature failure, the Bachmann field service and support team, after extensive research, discovered that the repeated failures were most likely due to the inability of their graphite composition to hold up to the constant vibration and oscillation of the dampers. The conclusion was a custom designed ceramic coated bearing upgrade with split style for easy field installation. The retrofit upgrade was completed with much success at the end of 2017 and has proven to resolve the problems and frustrations for the customer. Bachmann’s customized approach wins again.